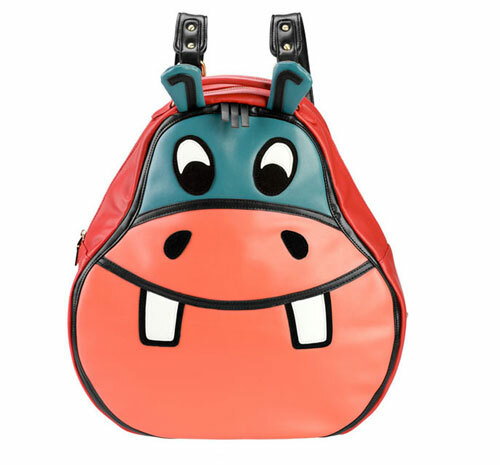 Our blue and red hippo backpack is a fun and happy item to carry your stuff in. It fits a 14″ laptop and tons of books. Made of buttery soft heavy weight vinyl with thick black shoulder straps, the backpack has an outside zipper pocket, two inside zipper pockets, and two pouches for pens or other supplies. Click on the picture to buy one!